Walt Disney Animation Studios’ Moana, which opens in theaters nationwide on Nov. 23, 2016, features a dynamic roster of characters brought to life by a talented group of actors. 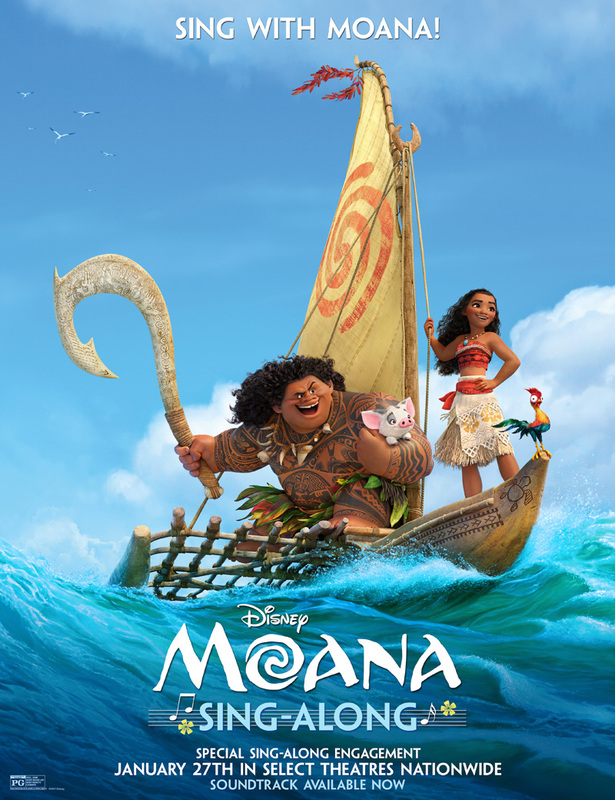 Directed by Ron Clements and John Musker, who were behind The Little Mermaid and Aladdin, Moana showcases the life-changing journey of a tenacious 16-year-old who teams up with the mighty demigod Maui to fulfill an ancient quest. The newly-revealed Moana characters and voice talent join the already-announced duo that includes newcomer Auli‘i Cravalho, who lends her voice to the title character, Moana, a teenager who dreams of becoming a master wayfinder, and Dwayne Johnson (HBO’s “Ballers,” Central Intelligence), who voices Maui—half god, half mortal, all awesome. Joining Cravalho and Johnson are the following performers. Check out images of the Moana characters in the gallery below! · Jemaine Clement (The BFG, Despicable Me, Rio, Rio 2, What We Do in the Shadows, “Flight of the Conchords”) provides the voice of Tamatoa, a self-absorbed, 50-foot crab who lives in Lalotai, the realm of monsters. The conceited crustacean wants to be more than a “bottom feeder” and overcompensates for this perceived shortcoming by covering himself in all things shiny. · Rachel House (Whale Rider, Hunt for the Wilderpeople) lends her voice to Gramma Tala, Moana’s confidante and best friend, who shares her granddaughter’s special connection to the ocean. Although her son Tui, the chief of Motunui, is a no-nonsense leader, Gramma Tala most definitely dances to the beat of her own drum. · Temuera Morrison (Star Wars: Episode II Attack of the Clones, Once Were Warriors, Six Days, Seven Nights) voices Moana’s father, Chief Tui, the gregarious and well-respected leader of the people of Motunui Island. Chief Tui wants Moana to follow in his footsteps as leader of their people, but fears his daughter’s draw to the ocean and the world that lies beyond their reef. · Nicole Scherzinger (Grammy-nominated singer, West End’s “Cats”) voices Moana’s mother, Sina, who always has her daughter’s back. 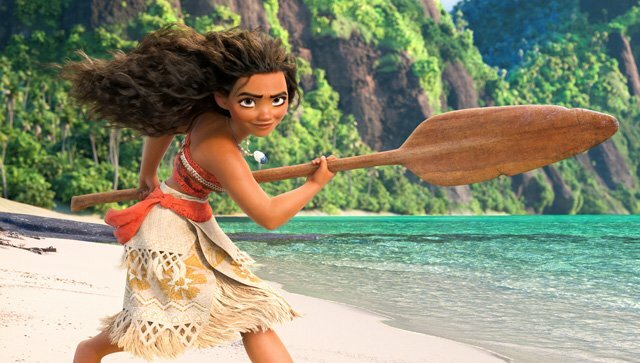 Playful, sharp and strong-willed, Sina appreciates Moana’s longing to be on the water, but also wants to protect her daughter from the fabled dangers beyond the reef. · Alan Tudyk, Walt Disney Animation Studios’ lucky charm (Zootopia, Wreck-It Ralph, Big Hero 6), is behind the voice of Heihei. Heihei is one dumb rooster—the village idiot, in fact. When the clueless chicken accidently stows away on Moana’s canoe, he lands a front-row seat for her epic journey.